The HKUST MBA from an Indian IT Male background? Far too many candidates feel that the category that they belong to prevents them from aiming for top schools. Some others feel that candidates with more than 10 years of work experience are dinged by default, and shouldn’t even bother applying. Here is a superstar from the Indian IT Male applicant pool, who has more than 11 years of experience in the industry, has performed very well at work, and has secured an admit to three schools based on his excellent profile – HKUST, Boston, and USC Marshall. He will be attending HKUST this (2013) fall. Here is his story. An MBA!!!??? The thought almost never struck me because it was always technology, systems, and projects that fascinated me. I had a successful career at one of India’s leading IT companies, and the firm had given me a lot of professional growth, learning opportunities, and appreciation. I was always a star performer at work, so when I first realized that to grow further in my career beyond a technical role I would need an MBA, the feeling was humbling. I was also disappointed to note that I had more than 11 years of work experience, so I would probably be the oldest student at campus for a full-time MBA no matter where I went. An executive MBA was never in my scheme of things, for reasons that I will not go into here, and a full-time MBA seemed out of the question as well. I took the GMAT and achieved a decent score, which I felt was good but not great. At this point, I wasn’t really sure where my plans were taking me – the GMAT score, IT applicant tag, and loads of experience was a combination that was disconcerting. It was at this point that I first got in touch with GyanOne. I will mention GyanOne’s help here, because they were well and truly out of this world with their services. Right from the word go, I was assigned an expert advisor who allayed my fears of not being able to get into a great MBA program. He worked with me, and we came up with a list that was doable. 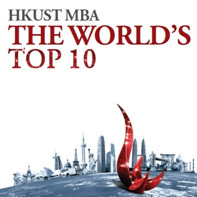 The only problem was one of the schools on the list – HKUST in Hong Kong, China. I was honestly a bit surprised when HKUST was initially suggested. This is a top 10 global school, and I wasn’t exactly sure of my chances. The GyanOne review of my profile suggested that I would be a good fit for this school. After a detailed discussion, I went ahead and started preparing to apply to HKUST. Over the next few weeks, GyanOne worked very closely with me in helping me to structure my thoughts, convert my weakness into a strength, and portray my professional and personal achievements. I can truly attest to the fact that they are not just good at their work but great. With each discussion and piece of advice, I could slowly see my application transform to a winning one, but the real test would of course be once it was submitted. To cut a long story short, the fact that I created strong MBA application helped me secure admits at HKUST, USC Marshall, and Boston University. The Indian IT Male MBA story had come a full circle. I was going to attend a business school ranked 8th in the world by the Financial Times! GyanOne has asked me to specifically highlight what I think I learnt in my journey. I think I learnt many things, but the chief one through which I also hope to help others is that you should look at your own profile deeply. Don’t fall for the traps that other people will lay out for you or listen to the opinion of people who themselves may know very little of what applying to an MBA is all about. The Indian IT Male MBA pool may be big, but people from this pool also get to top MBAs. People with 10+ years of experience may not get into a great MBA every day, but some still do. No matter what limits you, make sure it is not yourself. This is my key message.